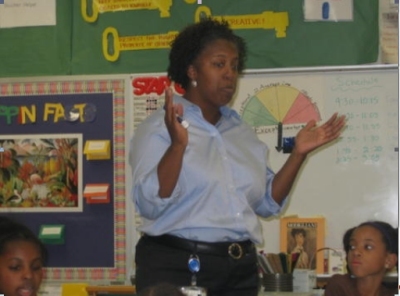 The Chapel Hill branch sponsored a STEM (science, technology, engineering, and math) program, called SPARC, in the fall of 2008. 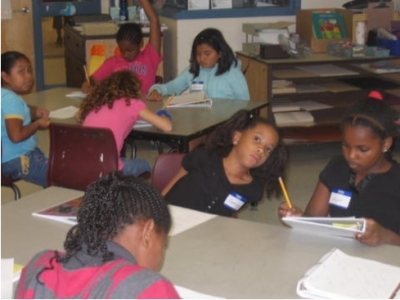 The project provided a 5-week program, 2 days a week, for 3rd to 5th grade girls in the After School Program at the Oak Grove Elementary School in Durham, NC. Our goal was to provide one to two hands-on activities with a female professional in a STEM field. Two to three branch members were in attendance at each session and assessments were made at various points during the program. In terms of diversity, there were 2 Hispanics, 1 white, and 14 African-American girls. they had learned some of the careers of some of the women professionals we had in STEM careers. In addition, each child left the program with a notebook which was full of their notes on the various STEM professionals and on the various hands-on activities. that the discussion on the biography of the professional would be shortened to allow more time for hands-on activities. that it is difficult to predict if the girls at this age will go into a STEM career.